English Translation: To all my Fans, thank you for the well wishes. I saw many uploaded photographs of Love Letter and Itazura Na Kiss (Mischievous Kiss) on Weibo, it brought me back to those days when I was young. It had been 20 years ever since, I have received Birthday wishes from my China fans because of those flims. From the bottom of my heart, i am very thankful for all your support. Nowadays, i am not just an actor, I have been working hard learning the rope to be a scriptwriter and venture into flim production. I hope to view the entertainment world in a new perspective. Although I have nothing much to show yet, I will continue to work hard and gather all your support which gave me lots of strength. I will try my best to produce the results of what I had learnt. To all the fans who created the video clip to wish me a happy birthday, please do not let this uncle who had just stepped into 38 years old cry. I was moved to tears by all the fans that appeared in the video clip. There was a video subbing and the production was great. In addition, there were many fans that speak in Japanese, I felt your love deeply. While watching the video there was a warmth inside me, i wondered is it because I am excited or am I feeling touched. I viewed the photographs through movie, however some of the photographs that was stored in the electronic device cannot be opened, I will figure out a way to retrieve these photographs. 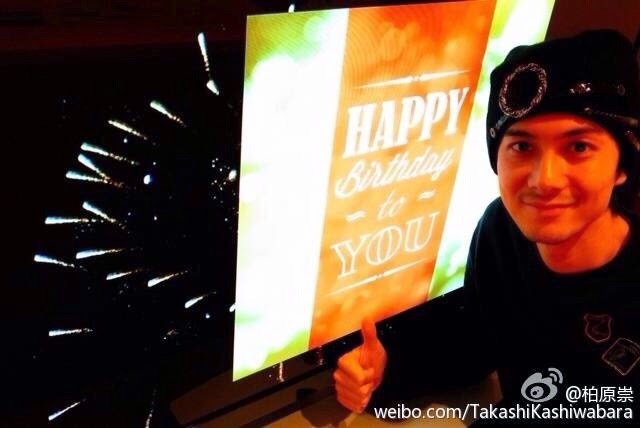 All the fans who left comments in my Weibo and those who made the video clip, I am very grateful for your support. Once again, I felt that your encouragement for me is so precious. 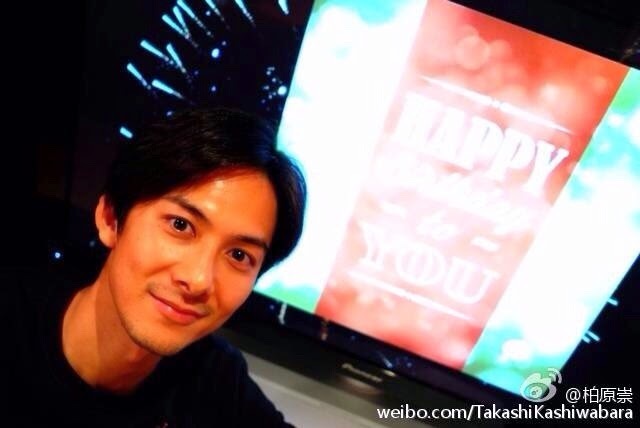 Finally, Takashi Kashiwabara updated his Weibo account with his recent photographs. I am expecting him to do so since it was his birthday on 16 March. Most of the time Kassy would only update his news randomly, but he would always make it a point to greet his fans especially during special occasion or festivals. I personally thought that Kassy is really humble and sweet to show his appreciation for his fans who has been supporting him all these years. 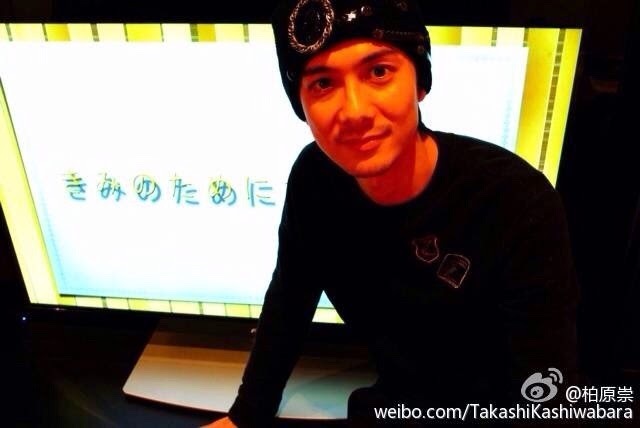 He mentioned that most of his fans know him because of Love letter and Itazura Na Kiss. It is true that most of his fans began to know him through these flims. However, I hope Kassy will continue to act in good film productions in the future. At the age of 38, he is really not as old as what he had described about himself. He could be an uncle to the young teenagers but definitely not to the twenties age group. In addition, he still look young and handsome for his age. Nothing i can say except "i love you and miss you so much my Takashi Kashiwabara." i wish to meet you and live with you forever.